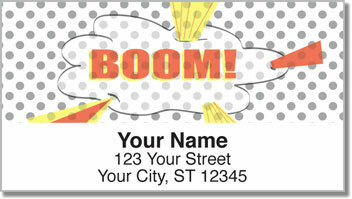 Stick some nostalgia on every piece of mail you send with these cool return address labels! 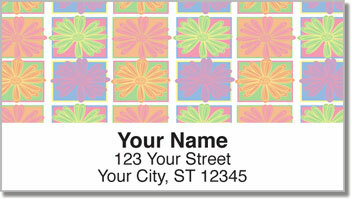 The design pays tribute to the pop culture artwork of the sixties with vintage style and lots of vibrant color! Whether it's a classic comic book, flower child art, or a 1960s blonde bombshell, these labels will take you back to another era. 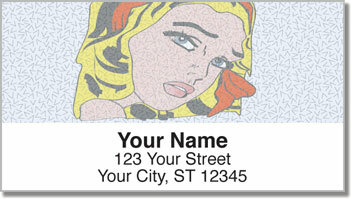 Retro Art Address Labels from CheckAdvantage are fun to look at and fun to use, but they're also quite convenient. A self-adhesive backing allows you to complete a routine task quickly and easily! 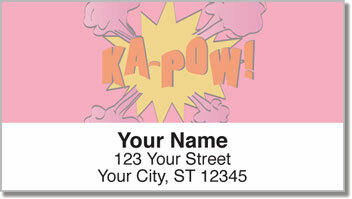 Get your very own Retro Art Address Labels right now! Don't forget, you can also find this selection in a set of matching personal checks.